Ball Regular Mouth 12oz (340ml) Quilted Crystal Jars are ideal for fresh preserving recipes such as jams, jellies, sauces, mustards and flavored vinegars. The Quilted Crystal design adds a decorative touch to these multi-purpose jars also use them for serving creative decor and gift giving. 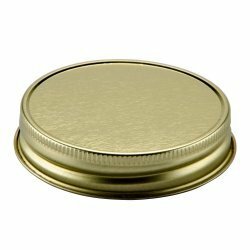 The jars come complete with a single use flat lid that has its own inbuilt seal and a reusable screw on band to hold the lid in place during the preserving process. Includes a little clear area of glass where you can stick a decorative label.